Announcer: 00:00 You’re tuned in to the Investing for Beginners podcast. Finally, step by step premium investment guidance for beginners led by Andrew and Dave to decode industry jargon, silence crippling confusion, and help you overcome emotions by looking at the numbers, your path to financial freedom starts. Now. Dave: 00:33 All folks, we’ll work up for beginners podcast. This is episode seven tonight. Andrew and I are going to answer a few. Yes, we got a couple of great ones and we thought there would be really interesting to talk about and they’re kind of relevant to what’s going on in the market as of today. So I’m going to go ahead and read the first question and then Andrew and I will talk a little bit about it. And then Andrew, read the second question and then we’ll talk a little bit about it so that you go ahead and start. Dave: 01:05 So the first question, hello Andrew and Dave, thank you for doing the podcast and helping beginners were in the basic principles of investing and value investing. You guys have fueled my interest to learn more and they’ve given me more confidence when it comes to investing. I have a question for you too. I know Andrew has mentioned a past experience with fl. Hitting is trailing stop and he was forced to sell. He said that he underestimated how far fl would bottom out. 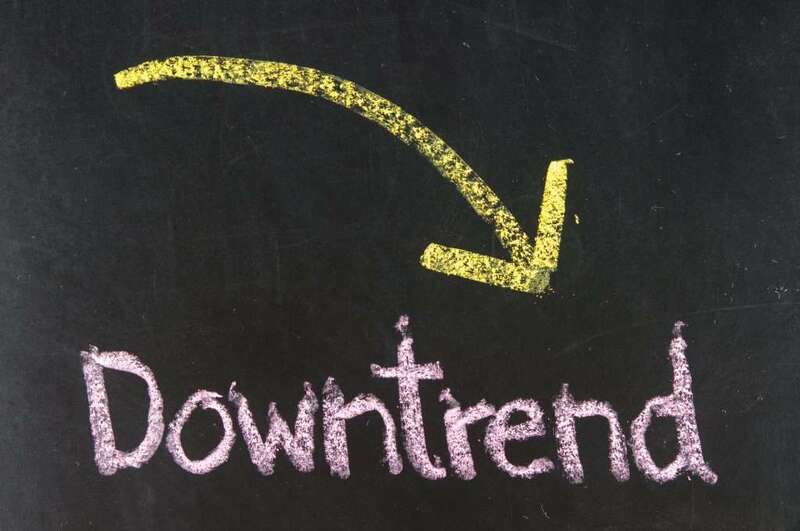 I’ve experienced this with a few stocks that have been affected by the current trade war slash terrorists with China, so my question for you too is whether you have any strategy buying stocks that you feel are on a temporary downtrend. How long do you wait before you buy and how can you make the call when you think the stock’s won’t get anymore? Thanks, Josh. Andrew, why don’t you go ahead and answer that first and then I’ll throw in my two cents. Andrew: 01:56 Yeah, sounds good. So stocks that are on a temporary downtrend, I guess you can look at it two different ways. You can take the classic value investing approach and say that I’m going to buy this stock. I love the price that it’s trading, that I love the margin of safety I’m getting. I’m okay with it. Continuing to decline from here on. So I’m going to ignore any trends. I’m going to just buy the stock and the fit continues to fall. I want to just be okay with it because I’m confident my margin of safety and I know with enough time, you know, things will play out, right. And, and, and hopefully that value will be realized and I’ll be able to sell at a profit when valuations kind of revert to the mean. That’s one way. So I guess maybe I mentioned to, I thought of a third way. Andrew: 02:50 The second way you can also take, it’s a kind of a classic value approach. I think Buffet does this, but this might be because he has so much money and so he can’t just pile a bunch of money in all at once. But, what some big investors will do is they will look at a stock that’s an, a downtrend. They’ll buy some, they’ll watch it false more than, they’ll pick up a little bit more and if it falls a little bit more than they’ll pick up a even more. And so they’re kind of, what’s the term, Dave?, something to do like you’re averaging down or something to do with the cost. You’re essentially getting like a lower cost basis on the stock you buy anyway. That’s kind of the idea. So you know, in a, in a sense you have this win win mindset. Andrew: 03:42 If the stock goes up, the stock goes up. Cool. Obviously everybody gets happy about that. If the stock goes down, cool. Now the stock that I already liked is even a better deal and I can add more and an average down. I think that’s the word I was looking for average down. So you can just continue to add and the lower it goes, the more shares you can pick up in relation to where it used to be. The third method that I’ve heard of is a lot of different investors will try to take the best of both worlds and they’ll try to take trend, like a trend following approach, kind of a little bit of a technical analysis type deal and blended with a value philosophy. And so they will take stocks that are hated, wait for those trends, the downtrend to reverse. And then buy the stock when it’s hated and in an uptrend, so that’s been slightly popular as well. Andrew: 04:39 And the rationale behind it is that I guess depending on who you talk to, you can make money by following the trend, uh, maybe in the short term especially. And so by waiting for it to hit a kind of this uptrend, then you’re maybe letting all the damage be done and then trying to get in on the recovery which could or could not work. So those are, I guess the three main ways you can look at it. Unless, Dave maybe you can think of a fourth. So I’ve introduced those. Which one do you kind of go for or is it something that you take on a case by case basis? Dave: 05:23 I kind of take it by on a case by case basis, but when I do take it on a case by case basis, I generally will do the averaging down. That seems to be something that works best for me. If I find a company that has passed all the tests so to speak and I think is a great company and is being punished by the market for reasons that I don’t really understand, then I’m going to invest in it and when I see it going down I kind of look at it like you’re going to buy shoes that are on sale and hey, you know, I really need these and I’m going to go buy them, but I found them for 20 bucks cheaper at this store so I’m going to go to that store and buy him and kind of the same philosophy applies when I’m trying to buy a stock. And so if I’ve done all my research and I think that this is a great company. Then if it’s taking a downturn, either because the general market is taking a downturn like has been happening recently. Or if there’s some other news that may be a temporary downturn for the company. Then I look at that as an opportunity to continue to try to get it at a discount. You know, if I’ve already built in a margin of safety in the market is offering me more, then I’m going to try to take advantage of that. Dave: 06:46 Now the trick with that of course is to make sure you’re not, you know, going after the falling knife, so to speak, and you’re not getting into a situation where the company is actually just kind of doing poorly and you’re making a misjudgment. Now, how do you avoid that? Well, there isn’t any perfect way to do that. Some of it comes down to experience. Some of it comes down to just doing your due diligence and making sure you’ve done your homework and you know, having a belief in your system and that believing that the system that you’ve been following will continue to work for you. Something else that I will look at from time to time too is who else is buying this company? If I see Joel Greenblatt, you know, loading into this company or a Seth Klarman loading into them as company. Why am trying to do the same thing with chorus? My much more meager earnings. Then these guys are doing a then that would help me give me a lot more confidence that, hey, maybe I’m onto something here. Those kinds of things are all certainly things that I look at when I’m, when I’m trying to do that. I hope that helps answer that question. Andrew: 07:56 I love that you brought up the falling knife thing. The article you sent me today, so Dave sent me this article and it was, there was an article that Seth Klarman wrote in Barron’s back in 1999 and he was writing about Warren Buffett. Really, really cool to see like one of our legends writing about another legend. So he, one of the things that he, I don’t know if buffet was interviewed in it or if he was just talking about buffet’s strategy, but one of the things that he said buffet tries to do is he tries to figure out why this stock is undervalued. Andrew: 09:45 The likelihood of business completely shutting down. Like this idea that this global economy that we’ve had will suddenly ceased to exist and everybody’s Kinda gonna insulate themselves and not wanting to do business with each other. I think that’s a bit far fetched. And so you can take fears like that or another one that pops to mind is when BP had its big oil spill in 2010, that stock just got crushed. There was a lot of lash back about all the oil, destroying a lot of the things in the ocean and the reefs and all these sorts of things. And that is very relevant. However, from a business perspective, yes. And the short term I was going to hurt their profits. But over the long term, is this really going to be some, like how many times can you put the company through litigation right over the long. Andrew: 10:40 Eventually they’ll, they’ll pay for it and then they’re gonna continue doing business as normal. So, but that was a stock that got hammered a lot. You can contrast all of those things with maybe a company that is being beat up because it has a lot of debt. That’s, that’s an obvious one where, okay. And we actually have a, a business that is in trouble. Another obvious example would be revenues and earnings are declining and, and you know, getting worse every year. That’s a symptom of either lower demand, a competitors kind of coming up and stealing market share. Those are all big kind of major problems and they’re all very basic and simple. Andrew: 11:25 You think about when these companies and these stocks go really volatile and they go up and down. I like to look at from a qualitative side, I like to look at Seeking Alpha. I like to read about, you know, what are some of the, what’s some of the news that’s coming out that that’s kind of contributing to the stock. Maybe maybe getting beat up. Things like I mentioned before, maybe things like the one I love to see the most because I feel like is the most overblown and that’s so ridiculous, but whenever you have industry projections where they say, you know, Oh, well this industry is. It used to be projected to grow at seven percent a year, but next year or the next five years it’s only going to grow at five percent a year. So like the. They did this for the memory sector recently where basically one of the semiconductor stocks companies, they released their projections, their EPS projections for the following quarter, the following year, and so because of this one company’s projections, the whole industry now reacts and the whole industry a gets beat up because now they feel that some segment of the industry is not going to do as well in the future as originally thought. Andrew: 12:49 So it. It’s just such a ridiculous idea that stock prices are gonna drop so drastically over projections and what, how people think that that an industry is going to grow in the future. It’s not anything that’s really tangible. And so I think the while, like Dave said, there’s no perfect way and there’s no black and white answer on how can we differentiate between a stock that’s beaten up and you know, for good reason versus one that’s just kind of over over irrationally feared. There’s no perfect answer, but I think you can use a lot of common sense and when, when, when things either are so short term or maybe more projection based. I think those are great signs that, hey, this might actually be a really great undervalued company that’s really beaten up and something that I can probably take advantage of and feel even better about the margins of safety. Andrew: 13:48 What’s Nice about the margin of safety obviously is the bigger it is, you know, the more that you can kind of make that qualitative decision that you can, you can do it and be completely wrong. The bigger that your margin of safety is, the less of an impact that will have on the, on the downside for your risk, on losing money on the stock. So you know, the cheaper you go, kind of the, the better your chances of the more room for error that you have. Even if you’re wrong about hey, maybe some of these fears were actually rational fears and, and for good reason, but you know, the stock really can’t go much lower because you bought it at such a cheap price. So that can be a nice side effect to, to buy in that way. I guess the second part of that question, how long do you wait before you buy and how can you make the call that you think the stock won’t go any lower? Andrew: 14:52 The answer to that is you can’t make the call and that’s something that you’re just going to have to deal with. That’s part of the buying stocks is you don’t know if the stock, if any stock will go any lower or any higher than how you feel. I obviously any stock I buy I feel like it’s going to go up eventually. Otherwise I wouldn’t buy it. So as far as like how long do you wait? I, I personally I dollar cost average. I’m buying every month. I have a, I have watched lists, right. So I have a list of stocks that maybe might be a little bit too expensive. I’m waiting for them to come down and monitoring those. If they come to a point where I want to buy it and then I’ll pull the trigger. But you know, I’m always weighing my options and I’m looking. Andrew: 15:39 I have a spreadsheet where I track all the VTI is for all of these different stocks, the stocks that I own, the stocks and I’m watching. And so every month, you know, you want to look at your options, what do you have now, what’s available out there, you know, what does your portfolio look like? Because my portfolio being kind of fully invested, fully diversify that, have 20 stocks in there, uh, my decision making is going to be different from somebody who’s maybe building from scratch and only has two stocks in their portfolio, you know, at that point maybe they need to prioritize just getting different stocks and different industries and trying to be more diversified. But you know, in a situation like mine, I can just look and I just got to weigh my options and you got to look at the prices as they change every month and you try to figure out and learn more about these companies as you go along. Andrew: 16:29 You kind of look and see how their balance sheets are moving, how their income statements are moving. And so you just take it and it doesn’t have to be this huge thing, but you know, once a month or whatever your dollar cost averaging timeline is, just take it and try to look and make a decision and go with it. And if it goes lower, I’ve had, I’ve had stocks that went lower, but you know, I see those dividends being reinvested and if a stock goes lower, that’s just a bigger dividend reinvestment that I can make and just continue to hold and hope that, you know, the stock and the company behind it doesn’t actually show real red flags and warning signs. So I think there’s a lot of power between understanding what makes us stock dangerous, what makes a company dangerous. And we’ve covered that in the past with the three strikes, you’re out theory. I think that was a really good one on, on figuring out when the company is really in trouble. So just doing that, you know, you’re not going to know, there’s no perfect timeline for, for how long you should wait before you buy. There’s no perfect strategy that’s going to guarantee that your stocks won’t go lower and as far as you know on a temporary downtrend, temporary uptrend I’m going to buy if I like stock, that’s, that’s the bottom line. Andrew: 17:53 You can kind of try to overanalyze as much as you can, but if you just stick to it in that simple way, try to find stocks that are, you know, have great growth prospects. Try to find stocks that have a great margin of safety, try to find stocks that are paying you a good dividend and and hopefully that dividends growing over time. Those are all things you want to look for. Those are big picture things. I think temporary downtrends enough transit, so short term and that at the end of the day, as long as your dollar cost averaging or diversify, it’s not going to make a whole lot of difference. Announcer: 18:28 What’s the best way to get started in the market? Download Andrew’s free Ebook at stockmarketpdf.com. You won’t regret it. Andrew: 18:38 So this one’s from Zach, he says, Hello Andrew. I hope this email finds you doing well. I’m a newer investor and I’ve read both of your books and have started listening to your investing for beginners podcasts. From the beginning I had a question. I used fenders to screen stocks. I’ve got a list of 11 stocks from that list. Only three scored well in the strong by for Vti for 2017. Those three companies where Macy’s Manpowergroup and Valero energy. A disclaimer. This was an email from awhile ago, so I don’t know if those stocks are still in that range. Anyway, what my question is, what is the next step use in your process to decide if any of these stocks should be bought or if all should be bought. Thank you and love your knowledge. Zach, what’s your. So I guess, you know, I think he used Finviz as well, Dave. And then obviously we’re narrowing down. So let’s break it down. You got fenders, you got your list of stocks, maybe you’ve narrowed them down to two or three. What’s your process from there? What’s my process from there? Dave: 19:44 Well, I probably just take the three names, put them on a wall and then throw darts course. I blindfold myself and I throw darts and then whichever I’m closest to. That’s one epic. Yeah. No, I love it. Perfect. Uh, so what do I do? What I do is that is the kind of the beginning process of the fun. I have a checklist that I go through, so when I do use and I use it every week and I use it every Monday. It’s part of my routine that I’ve had for a long, long time. I wish I could get in the same routine. We’re lifting weights, but hey, that’s a whole another conversation. But. So I use Finn visit every week and it helps me try to find different ideas that I can invest in. So once I find that and then I will run them through the DTI, which is a great way to help me narrow everything down. Dave: 20:39 And once I’m done with that, then I start looking at my, at my checklist and making sure that all these boxes are marked off, that you know, the company has, you know, strong earnings for a long period of time, strong free cash, free cash flow for a long period of time, you know, that the revenue is growing, that the margins are growing, that, you know, all the ratios have looked good for a long period of time. I will go back and look at how it did during the recession. A, that’s an important thing for me to understand, especially as we go through a kind of an iffy time here in the stock market over the last six months or so. You know, there’s conversation about us possibly going slipping into a bull market and bear market. I’m sorry. And so when I do those things, I’ll look and see how did the company do during that downturn and oh, seven and nine. Dave: 21:34 And that will give me an indication of how a could do in the future if there’s a downturn in the market. So those are just some of the things that I’ll look at. Then once I’m done with that, then I will go back and reread through the 10K and make sure that the thesis or the idea that I had behind why do I want to invest in this company, not just, you know, hey, it looks pretty on the spreadsheet and it’s got all these great things, but what do I really know about the company? What do they sell, what kind of stuff do they do? Are there any comp competitors that are coming up that could crush them in the next couple of years? Because really I’m always trying to find a company that I’m going to buy and sit on for a long time. I’m not really looking for something that I’m going to have to turn through every six months to a year. Dave: 22:23 That’s not my modus operandi when I invest. So those are some of the things that I will do to kind of start the process. Now let’s say that I get it down to two or three companies. Sometimes it will be. I will just look at the two or three companies and I’ll look and see why is the company in a position that it’s in. So for example, I’ll look at Macy’s here that he’s talking about. Well, bases is in the retail world and as we’ve talked about before, there’s really kinda two players in the, in the, in the retail world right now. And then everybody else, uh, Amazon is probably obviously the king, but Walmart is probably real close to being the second. And then everybody else is just on the struggle bus. A target’s been up and down and you know, Kmart has gone out of business. Dave: 23:10 Sears is on its way out, declared bankruptcy recently. Macy’s has been on a big, big struggle bus. They’ve caused lots and lots of stores. Actually the last three places I’ve lived and have had Macy’s that have closed and so they’re on the big struggle bus. And now one of the things that has kind of kept them afloat is they have a lot of real estate. So they own the land that their stores are on, which has been a huge benefit for them. But I don’t know if that’s going to keep them around long enough for keeping it profitable long enough to make a comeback or to be strong enough. So for me, if I was looking at those three groups accompanies, knowing what I know about Macy’s, I would just cross that off right away because for me that would be a kind of like, I don’t really want to get into the retail world. Dave: 23:59 So then I look at the other two companies. I don’t know really that much about energy, so that would scare me a little bit. That would have to be something that I would have to do a lot more research on to become a lot more familiar with that company because that falls outside of my circle of competence. And that’s another thing that I really have to pull into this as. Even though you’re working at these companies and these are three companies that are interesting to you, what do you really know about them? What kind of expertise could you bring to where these companies are going now? Manpower Group is, I believe a company that what they do is they help people find work and so I’m more familiar with that kind of thing because I work in a business where I have to hire people and so I have some sort of experience with that and I would feel more comfortable digging into how that company operates. Dave: 24:49 What they do is so on. And so that would be something that I would narrow down that would help me narrow down these companies as I’m looking at him is, you know, looking at my checklist, making sure all these numbers are matching up, looking at all the metrics and seeing that they’re operating and performing. Well. Of course the VTI is going to help me a lot with that. But then I’ll also go back and look at the period of time period that there may have been a downturn in the market and how did that particular company do or during that period. And then I’ll also look and make sure that this falls within my circle of competence. That I understand the company and what it is they do. You know, in this day and age of technology, there are certainly going to be companies that I’ve come across in the technology world. I just won’t understand. I just, I don’t get what they do, I don’t really understand it and it’s going to be too much of a learning curve for me to figure that out. And so then I would just put it on the two hard pile and move on to the next thing. So I guess those are the three main ways that I would look at how I would figure out which company I would narrow it down to buy. Andrew: 25:57 Yeah. I love all of those actually. So I guess we can end it there right now to open my mouth and start talking a little bit confused. So I think first off, like you can’t really go wrong by buying stocks that are cheap, so you, you build a portfolio of enough cheap stocks with good margins of safety, um, chances are you’re going to do well for yourself. I think having this process where you’re really trying to decide between two or three stocks can maybe be that difference maker that take you to the next level. Andrew: 26:44 And so obviously that’s something we’re gonna try to do the idea of looking at how a company does during the recession, that’s something that I love looking at. I don’t care so much if, if, uh, if the earnings kind of go up or down, that’s, you have to understand that just like the economy is cyclical, a lot of these industries will be cyclical. So what cyclical means is, it goes up, there’s recession, there’s contraction, so you’ll have like kind of the general stocks that are all commonly known as cyclical when the economy is doing well, those stocks do well when they call them these doing poor vice versa. Some stocks actually do better during the recession. And you just want you, you want to get context on how does the company do when he faces adversity in the industry and how is it do and when times are good. Andrew: 27:35 One of the things, like I said, I don’t really care so much if earnings are going up, up and down, but I don’t like to see negative earnings, at any point, especially during the recession or I guess at all. So if I’m looking at track records, so I’m looking at Manpower group right now and I see negative earnings 2009 and 2010. Uh, does that mean that’s a bad investment now? May Be not, but you know, that’s, that’s something where I kind of look at them like, hey, I don’t like that part about it. The thing about picking any stock, you’re never going to find the stock that kind of checks all your boxes. You’re never going to find the perfect stock, but you’ll get, you’ll find stocks that kind of get close to your criteria. And so sometimes you just gotta roll with it and you’ve got to figure out whether the parts that you don’t like about this doc and are you okay with those? Andrew: 28:28 And so that’s why you need to have your priorities straight and, uh, really have context on what numbers and what characteristics of these businesses are most important to you. Some other things that I’ll look at, which we haven’t gotten into too much. We have a, another near the episode that we’re planning to talk about, but I like to get into the nitty gritty of the balance sheet even more so than we have been. So like, uh, looking at manpower group, they have a lot of accounts receivable which is basically as good as cash. It’s just a money that they’re owed and they haven’t gotten it yet. So when you combine their accounts receivable and their cash, it’s really high. And it’s much higher than their short term debt and their longterm debt. So I like to see that. I’d like to see that a lot. Andrew: 29:22 Things like goodwill. So something that I’ve been focusing more on lately. And here’s, here’s the thing with kind of picking these stocks, you’re not going to have something that’s so ironclad a where you’re going to do the exact same thing every single time you’re trying to make these decisions. I think as time goes on and you’re investing and you’re, you’re gaining experience or gaining these skills, you’re gaining the field for stocks and these businesses and the market as a whole. And as your investment goals change, I think these are all, all these factors will really way into making a decision like this. And so you have to understand that the things that you find attractive now are gonna evolve over time. Andrew: 30:09 And so like as an example, recently, I’ve been really big into finding businesses where the brand names as is very, very important. And that has, a very strong hold in, in its industry that cannot be replaced. So I don’t own apple as of right now. But I guess that would be a great example because you can’t just start up a business and say, hey, I’m willing to take over apple’s brand that it’s, it’s, it’s really one of a kind. And so, you know, I have apple on my watchlist and when it gets to a price where I am comfortable with it, that’s definitely something that I’m going to prioritize as far as picking stocks. So those are the types of things I like to look for right now. Recently I’ve been looking for businesses where their brand name is not included in goodwill and I’m not going to get too far into the weeds in this episode about that. I think there’s a lot of opportunity there. The buffets made a lot, a lot, a lot of money just on brand name alone. I mean I think about Coca Cola. Andrew: 31:24 I don’t know. He’s got, he’s got several other stocks where the brand name Hershey’s is another one. These brand names or they’re able to really grow profits every year because they have customer loyalty and they have these brands that just people flocked to and they spend money on and you can’t replace them very easily. And so they stay very profitable for very long time. Andrew: 31:49 Things I also like to look for, I like to look for longterm growth again, you know, just because a company has done really well in the past, doesn’t guarantee that’s going to do well in the future, but I would rather pick a stock that’s growing earnings every year for the last 10 years rather than one who’s a earnings chart. UPS Chart looks like a rollercoaster. I would rather have the one that’s like, wow, look at this explosive growth and believe it or not, you know, it’s not just the Fang stocks that have these characteristics. There’s a lot of smaller stocks that institutional investors aren’t even looking at that are trading that decent evaluations that I just picked one up here in January the first of the month. Fantastic. Like you look at the revenue and you look at the earnings, it’s just straight up. It’s great and, and the evaluations are not too too expensive and they’ve got great cash. Andrew: 32:45 No, hardly any debt. These are things that you can find and they’re going to be times where maybe they won’t be as cheap. Like this one that I picked for the leather in January, it was too expensive for the past, like year and a half, but because of the market downturn we had last month, I was able to pick up more and I’m hoping to be able to pick up more in February as well. These are all things that you kinda Kinda keep in mind. And like I said, it’s going to evolve. It’s going to change over time. I’ve put more. I’ve had stocks where I put more priority on earnings growth. I like to look back even more than 10 years and I like to take little three year averages and compare that. That’s been helpful. I’ve had times where, you know, uh, maybe one to bet on the stock where the revenue growth is just out of this world and maybe the earnings aren’t as great, but you know, they’re reinvesting them in there. Andrew: 33:43 Obviously I’m making sure that there’s enough earnings. My PE ratio is still reasonable, but you know, maybe they don’t have as much training as, this other stock I’m looking at. But the revenue growth is that much better. So maybe I’ll go with that one, and again, it’s, it’s gonna, it’s a good idea that kind of diversify between these basically qualitative factors in a way because nothing’s going to be. There’s trends in the market and on Wall Street and certain things become expensive and certain things become cheap. Back in the, what was it, seventies, sixties, whatever it was, you had the nifty 50. So this idea that basically blue chip stocks, they’re safe, they pay a dividend, they don’t grow as fast, but they’re stable, they’re stable, they’re steady, they call them the nifty 50 and 50 biggest kind of blue chip type stocks. Andrew: 34:38 Those, that, the valuations on those went crazy high like you think like the Fang stocks. That’s how high those, these types of evaluations that, the step istock saw. And so, you know, if you had a strategy where every single time you took a group of stocks and you said, I’m just going to pick the big, safe, steady stock out of this list. If you did that every single time, well during those couple of years at the nifty 50 was really expensive. You would have had really bad returns on that because you’re sacrificing for evaluation, so understand that certain things are going to go in and out of favor in the market, not only just on a price basis, but just kind of on the popularity basis as well a cycle basis, so think it’s a good idea to prioritize different things. Look at your portfolio, look at what you have, look at what’s, you know, look at the prices on certain things. Andrew: 35:40 These stocks are all gonna, have different personalities, different characteristics and there’s gonna be some good and some bad with all of them. You want to try to make a good healthy basket kind of mix of of these different types of stocks and maybe it’s a little bit of trial and error. You see what’s worked really well for you based on what type of valuations you are, your kind of putting a heavier way on and that could be a different answer for me. It could be a different answer for Dave. It could be a different answer for any one of you out there. So hopefully some of those things were kind of just scratching the surface on some of the things you can look for when you have a group of three stocks that you want to narrow down to. One, hopefully that helps you a little bit and gives you some ideas on where you can go further. Andrew: 36:26 I think if it’s something you really want to think, maybe take the next step. We had an episode where you recorded about competitive advantage, that could be a good resource for you to maybe think about a stock and it’s competitive advantage and where it sits in its industry and maybe that can be another thing or you can look at balance sheets and then Kinda make bounce sheets your expertise. So many different things. You can do a, there’s no one answer. And like I said at the beginning, you’re buying, you’re filling a portfolio with cheap stocks are good dividends and growing dividends. That’s really hard to lose when you’re doing that. As long as you’re staying diversified, your dollar cost averaging. You’re doing this for the long term. This is your stack and all those things in your favor. I’ve said this in the past. That’s basically, you know, you, you, you do those basic foundational principles. Andrew: 37:21 You’ve got 80 percent of the results already and the rest is kind of minutiae. Maybe the difference between a couple of percentage points, which could be granted a big difference, but, you’re most of the way there just by finding stocks with a margin of safety. So don’t beat yourself up about it. Don’t overthink it, just do it. Learn, get better, and continue to buy stocks and enjoy it. Dave: 37:48 All right folks, we’ll. That is going to wrap up our discussion tonight. I hope you enjoyed our answers to the questions. Thank you listeners for sending us to some more. Great questions. I love them. So you guys go out there and best with a margin of safety, emphasis on safety. I have a great weekend. We’ll talk next week. Announcer: 38:06 We hope you enjoyed this content. Seven steps to understanding the stock market shows you precisely how to break down the numbers in an engaging and readable way with real life examples. Get access today at stockmarketpdf.com. Until next time, have a prosperous day. Speaker 5: 38:31 The information contained it’s for general information and educational purposes only. It is not intended for a substitute for legal, commercial, and slash or financial advice from a licensed professional. Review. Our full disclaimer@einvestingforbeginners.com.